Welcome to Evergreene Digest This Week, August 4, 2018. Share image: Craig Sugden/CBS via Getty Images. Watch the full video below, free your tears, feel the full spectrum of your emotions, and then get to work making the‌‌ world the awesome place we all know it can be. Part 1: Complexity is largely ignored in today's moral judgments. We are quick to condemn, with scant effort to understand. You can’t stamp out conscience. Special Report | Trump Is in Major Legal and Political Trouble — His Desperate Attempts to Escape Could Lead America to Catastrophe. Thom Hartmann <>, Independent Media Institute (IMI). Read more about Welcome to Evergreene Digest This Week, August 4, 2018. Part 1: Trump’s incompetence: Secret weapon? Is this terrifying bumbler the GOP’s secret weapon? Part 2: Your rage at Trump is justified. Your rage at Trump is justified: Don’t let scolds like the New York Times shame you for it. Mainstream media’s moral cowardice: Time for the (NY) Times (and everyone else) to stand against evil. Journalism with real independence and integrity is a rare thing. All reader supported Evergreene Digest relies - exclusively!- on reader donations. Click here to make a contribution and support our work. June 22, 2018 | False equivalency is a form of moral cowardice. On Wednesday, the New York Times featured another story on the political discord and chaos caused by Donald Tump's presidency. The Times' headline read "In Era of Trump, Incivility Spreads in a Divided Nation." Chauncey DeVega is a politics staff writer for Salon. His essays can also be found at Chaunceydevega.com. He also hosts a weekly podcast, The Chauncey DeVega Show. There’s a myth that goodness exists independent of rage. It’s a lie to keep those being held down from rising up. Read more about Mainstream media’s moral cowardice: Time for the (NY) Times (and everyone else) to stand against evil. The only way I will ever accept my choice being called a protest vote is if establishment Democrats acknowledge the primary was insurmountably rigged on Clinton’s behalf. No matter how many times they claim to be “progressive” or “socialist” if they are Democrats they aren’t either. In Religion & Spirituality | Patheos: a non-denominational, non-partisan online media company providing information and commentary from various religious and nonreligious perspectives. The Trump administration of separating children from their parents is not a novel idea. It is not a new thing exercised by the federal government. The solution is … to call upon all Americans to be better humans. Welcome to Evergreene Digest This Week, July 14, 2018. And you probably won’t until it’s too late. No more softball. Political handlers have taken the wrong message from past confirmation hearings. Unlike the judicial system, impeachment is ultimately a political process. A majority of lawmakers, rather than a jury or a judge, is charged with determining what constitutes a high crime or misdemeanor. And given that Republicans control bothchambersfor now, any impeachment of Trump seems unlikely. Jennifer Harbury: Today’s Refugee Crisis Is Blowback from U.S. Dirty Wars. Amy Goodman, Democracy Now! In our special broadcast from the U.S.-Mexico border, we speak to human rights lawyer Jennifer Harbury, who has lived here in the Rio Grande Valley in Texas for over 40 years and has been active in the response to the Trump administration’s “zero tolerance” policy. Her husband, Efraín Bámaca Velásquez, was a Mayan comandante and guerrilla who was disappeared after he was captured by the Guatemalan army in the 1980s. After a long campaign, she found there was U.S. involvement in the cover-up of her husband’s murder and torture. Now she continues to work with people fleeing violence in Guatemala, ElSalvadorand Honduras. Read more about Welcome to Evergreene Digest This Week, July 14, 2018. Welcome to Evergreene Digest This Week, July 7, 2018. A liberal commentator offers his scathing take on contemporary American politics and culture. No one expected Kennedy to allow Donald Trump to pick his successor. But he has. And it should forever taint his legacy as a jurist. Related: Anthony Kennedy Did Not Swing! In Activism & Organizing | Action Network: Empowering millions of activists every day. 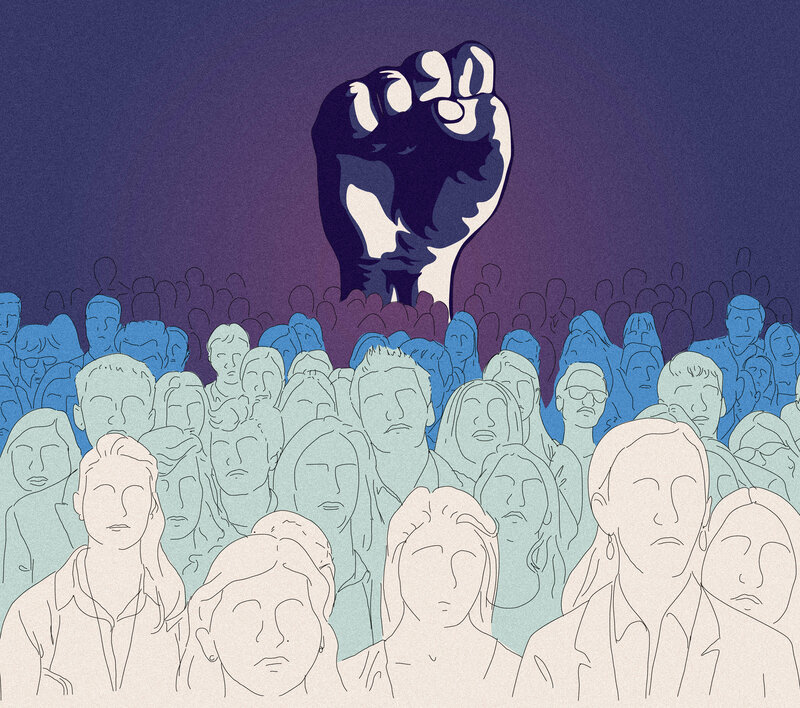 We're a nonprofit dedicated to building power for the progressive movement, so we don't have clients -- we have partners, and we can mobilize your activists together. Join us! In Books, Literature, & Ideas | Democracy: a journal of ideas. It’s all part and parcel of the Republican "small government" philosophy. Workers must take control of the economy’s productive resources, and this will require a massive struggle, animated by a vision of a different kind of society. Part 1: What Are You Actually Celebrating This Fourth of July? Today America is celebrating your lateral promotion from housekeeping to laundry staff. He is, in fact, a standard Reagan era, corporatist, racist, misogynist judge, who happened to write a couple of opinions that reflected one small area of decency in his work. Read more about Welcome to Evergreene Digest This Week, July 7, 2018. Welcome to Evergreene Digest This Week, June 30, 2018. The Justice Department Inspector General's report proves the nation became addicted to unreality. 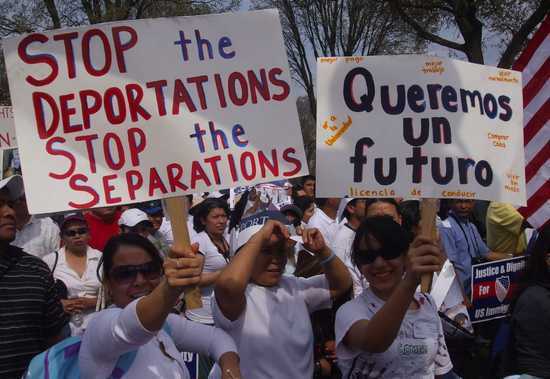 Despite the repressed memory of U.S. intervention in Central America, it’s time to insist that accepting Central American refugees is not just a matter of morality or American benevolence (but) … a matter of reparations. Part 1: So, Now You Want Civility? You don’t really want civility, anyway. Related: Rejecting Values and Responsibility Was a Big Mistake. We Have Lost Our Minds. Democratic U.S. senatorsponsorsamendment to codify Iron Range deal. Part 2: Sen. Smith’s PolyMet amendment: Corporate welfare? Pandering? Or just a reasonable deal? The heated debate over the role of mining in northern Minnesota has become full of political landmines for Democratic politicians. Read more about Welcome to Evergreene Digest This Week, June 30, 2018. Welcome to Evergreene Digest This Week, June 23, 2018. The Democratic Party is part of the problem, not part of the solution. Voting for the Democrats and their so-called "blue wave" is not voting to stop the great crimes the Trump/Pence regime is carrying out. It's a vote to continue these crimes, accommodate to fascism, and legitimize the whole putrid system that carries out monstrous crime after monstrous crime, and gives rise to fascists like Trump and Pence. The "blue wave" isn't the answer. It's a poisonous polluted wave of slime and sh*t that will only leave people drenched in disappointment, accommodation, and complicity. Related: Wrong-Way Democrats: Will a 'Blue Dog' Blue Wave Pave the Way for Future Disaster? What is happening is the sort of moral enormity that once seemed unthinkable in contemporary America, the kind captured in the Martin Niemöller poem that’s repeated so often it’s become a cliché: “First they came …” There is no reason to believe that undocumented immigrants will be the last group of people deemed beyond the law’s protection. The Great Western Narrative is there to perpetuate power by legitimizing it, by making its unbalanced and unjust distribution seem natural and immutable.Our planet and our children’s futures depend on us liberating ourselves, seeing the ghosts in the machine for what they truly are. Veterans For Peace is fighting back to “Stop VA Privatization, Fix, Fund & Fully Staff the VA.” And you can too. Part 2: The Veterans for Peace "Save Our VA" Work Group Needs Your Help! There is a lot to do and a variety of ways to get involved! Document further fueled the post-World War II culture wars over the meaning of sexuality. Read more about Welcome to Evergreene Digest This Week, June 23, 2018. Welcome to Evergreene Digest This Week, June 16, 2018. The Politics of Marginalizing the ‘Other’ * The delusion of deporting the country’s troubles away by banishing “criminal aliens” * I Don't Need to 'Understand' Anyone Who Still Supports This President * Border Patrol Kicked, Punched Migrant Children, Threatened Some With Sexual Abuse, ACLU Alleges * ‘It’s Horrendous’: The Heartache of a Migrant Boy Taken From His Father. Related: Trump, critics trade angry immigration charges, falsehoods. Read more about Welcome to Evergreene Digest This Week, June 16, 2018. Like many other independent news and media sites, Evergreene Digest has fell victim to a decline in the number of people reading articles due to censorship by Google and Facebook. Independent journalism has become the last bastion in seeking and telling the truth as government and corporate lies are promoted by the mainstream corporate media. share articles posted here widely using the tools provided at the bottom of each posting. Facebook and Google are introducing some changes that could make it harder for you to see Evergreene Digest's posts --- or any of the other news outlets or advocacy organizations you follow on Facebook. • Go to our Facebook page. • Make sure to "like" us if you don’t already! • Click the “Follow” button (if you’re already following us it will say “Following”) and choose ‘See First’ from the drop-down menu. Now Evergreene Digest posts will always appear in your News Feed when you log on, so you’ll never miss our real-time news and analysis about the issues you care about. You can use this ‘See First’ trick with as many pages as you like -- any of the other news outlets or advocacy organizations you follow on Facebook.